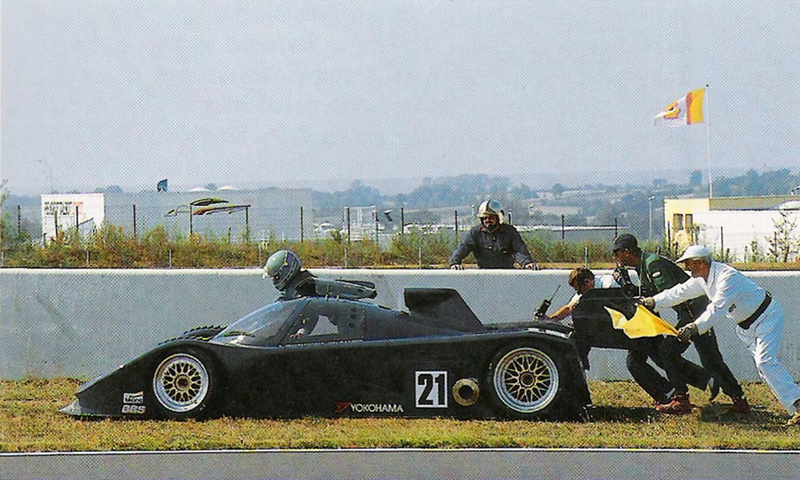 #MotorsportFail – The 1991 WSC Konrad KM-011. – Historic Motor Sport Central. Another #MotorsportFail and this time we’re talking about a German one. 1992 would see the World Sportscar Championship restricted to the 3500cc engine formula and many of the customer teams, mainly the one using the Porsche 962, saw that as an end to their campaign. Fortunatelly, they tryed hard to continue racing in the championship and therefore went from customer team to being manufacturers of their own chassis. That is the story of the Konrad KM-011. 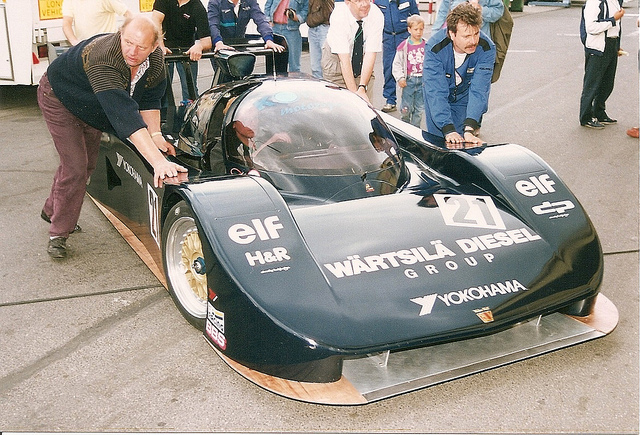 Franz Konrad and his own team had been a well-known Porsche customer team campaigning the 962 design for year in the WSC. But with the new ruleset being planned for 1992 and restricting the engine to 3500cc as well as Porsche not having planned anything to follow that, Franz thought about making everything on his own ! 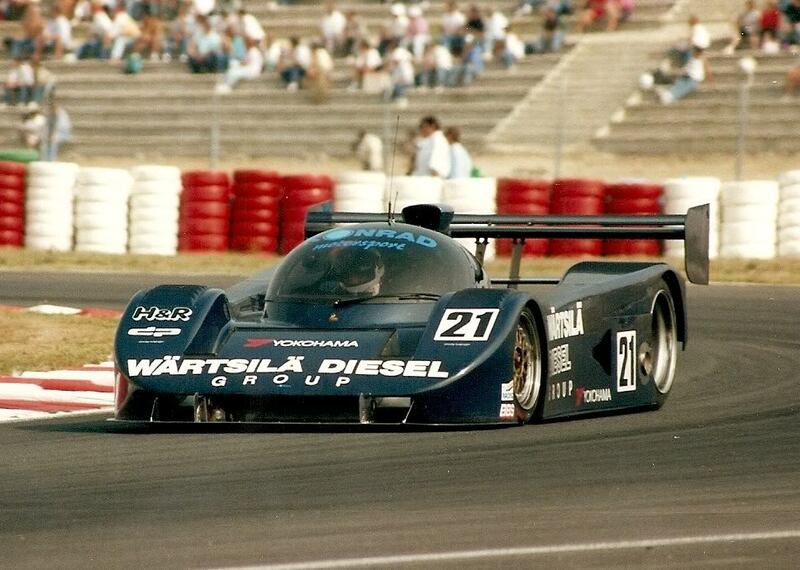 First appearance of the Konrad KM-011 et 1991 WSC Nürburgring round. Well not everything, first he turned to Lamborghini and their parent company Chrysler so they would become his engine supplier with the Formula One V12, yes the same as used in the Ligier and Modena cars. 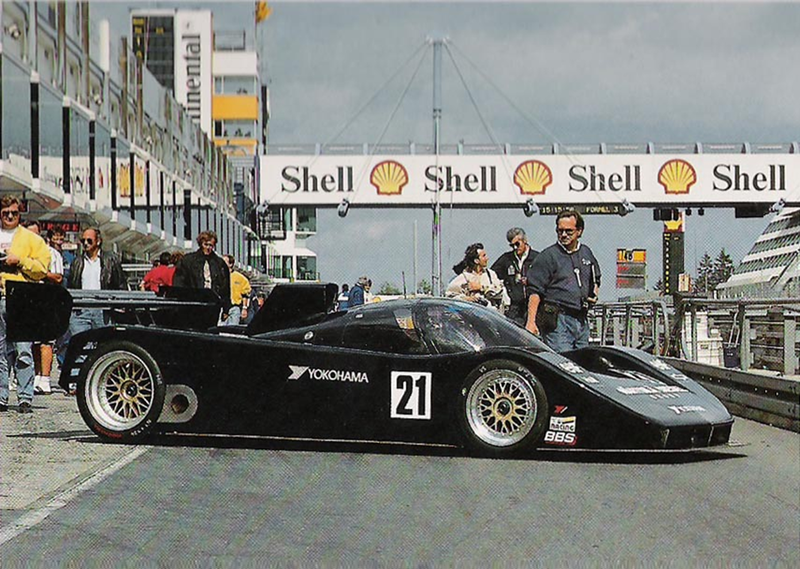 The Konrad KM-011 was a sport prototype built for the 1991 World Sportscar Championship season. Chassis side, the solution was simple, they decided to build a better 962 chassis suited to accomodate the new engine. The same concept followed for the aerodynamics with the simple goal of turning the weaknesses of the 962 such as the lack of front grip arround and you can see that just looking at the front of the car. Unfortunatelly, it remains hard to find anything else about the car such as suspension design, monocoque materials but one would think that all that was done according to the trend of the days so carbone tub and inboard suspension are logical. But funny, the car looks really much like an “updated” Porsche 962 and we bet that the windscreen was certainly sourced from one ! 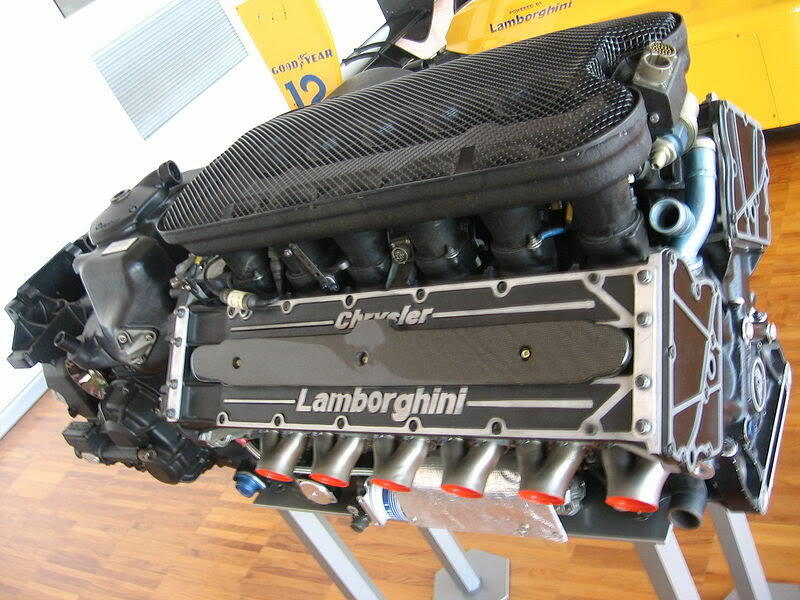 The Chrysler-Lamborghini F1 Engine that powered the Konrad KM-011. The Konrad KM-011 @ Magny-Cours. Retirements, that was the only word for th Konrad KM-011 in WSC. However, it wasn’t a complete one, the car did take part in the Interserie in Austria that same year at Zeltweg, a 7th place finish with Franz driving on his own in the first heat and a retirement in the second one but still, it was classified as a finisher. 1992 would see the car racing one more time in the Interserie again and at the track it debuted, the Nürburgring. Out of two heats, the car finished 3rd in the first heat and 4th in the second one which gave a 4th place finish in the combined results. Unfortunatelly, it looked maybe to be too much for a privateer and even if Konrad promised to take part in the 1992 World Sportscar Championship, it never happened and that was certainly linked to all the misfortune the team did suffer in 1991. Previous Previous post: #TouringCarMadness – The V10 Powered Alfa Romeo 164. Next Next post: #RemiDargegen – The #73MM & Gerry Marshall Trophy Best Of.